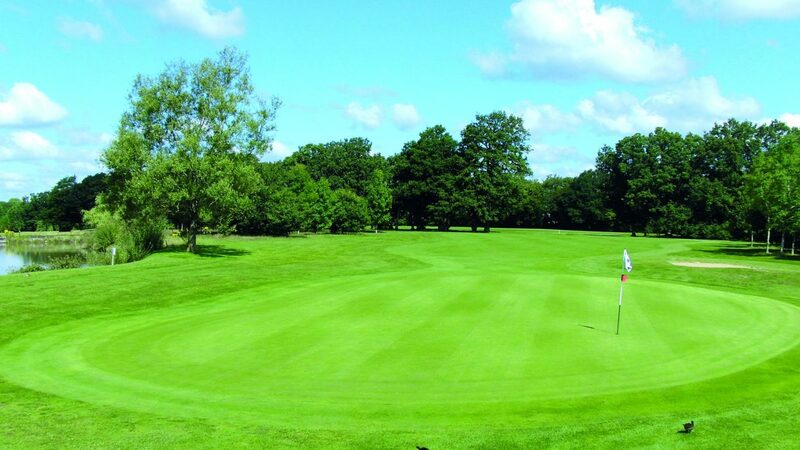 Slinfold Golf and Country Club lies just west of Horsham, in beautiful Sussex parkland. Designed and opened in 1992, the club is one of the most popular membership and golf day destinations in the area. The 18-hole course is set among mature oak trees and strategically-placed water hazards, and is the ideal society venue at just under 6,500 yards, with four par 3s and four par 5s. Measuring 6,424 yards from the white tees, the course puts an emphasis on accurate shot placement over big hitting, with well positioned bunkers and natural = hollows needing to be negotiated to shoot a good score. Among the standout holes are the par-three 16th, a 163-yard hole that requires a testing iron shot over water, while = the signature par-four 10th demands a challenging drive from an island tee in front of the clubhouse. The greens and tees are built to USGA specifications, ensuring excellent year-round playing conditions, while the naturally forgiving topography makes it an easy walk. The layout is designed in two loops, allowing for a shorter game experience if time is limited. A new 9-hole short course provides an extra option for 27-hole golf days. The spacious clubhouse boasts a gym, swimming pool, Jacuzzi spa and steam room, which visitors are welcome to use. The bar and dining area offers a full catering service throughout the day. Packages available for groups of eight or more. Coffee & Bacon Rolls + 18-Holes of Golf - from £26.50pp (w/day), £29.50 (w/e). Add £5pp for a once-course post-round meal. Seasonal variations apply. Five miles from Horsham and three miles north of Billingshurst in West Sussex, on the A29. £35 peak, £17.50 twilight off peak. Summer four ball offer: £25pp (Mon-Fri), £28.50 (sat/sun). Visitor Restrictions: Members only before midday at the weekends. 9-hole short course; 18-bay floodlit driving range, and putting green.Lounge Bar for food and drinks.